You were using super glue for a quick project, and some dropped onto your wood table from your favorite Austin furniture store. Or, your child covered his wooden chest of drawers with stickers. How do you remove glue/adhesive from solid wood without damaging the surface? Keep reading for some effective and inexpensive tips to try. Did you know orange peels can be used to dissolve glue? Rub the peel onto the small adhesive stain and let it sit for about 15 minutes and then wipe the surface clean with a rag. For a solution that’s less messy, go with an orange-based cleaner. This solution works particularly well for adhesive left behind from stickers. Simply soak a cotton ball with the alcohol and rub in a circular motion until the stain is gone. If your solid wood furniture has a heavy surface finish that helps protect from moisture, apply some dish detergent and warm water, and then rinse with a damp cloth. Use a gentle dish detergent for hand-washing dishes rather than detergent for the dishwasher. If the wood surface is finished, apply some petroleum jelly and let sit for several hours. This should loosen up the adhesive enough so you can rub it away with a clean cloth. Fortunately, you only need some common-sense furnishings to create a room that any guest will appreciate during their stay. Once these essentials are in place, you can then build around them with additional decor to create an even more welcoming space. It goes without saying that the most important thing you can provide for a guest is a pleasant place to sleep. This will require a quality bedframe and comfortable mattress. Quality pillows and bedding are essential as well, as most guests will be more interested in comfort than the room’s décor. A queen size bed is usually ideal for a guest room. Having a few drawers to store clothing and other personal items is much more convenient than having to pull them out of bags all the time. Avoid cluttering the top of the chest or dresser with décor, as this space may also come in handy for your guest. To display true quality and a sense of home to your guests, go with Texas fine furniture made of solid wood rather than particle board. Most people like to keep their cell phones, eyeglasses, and jewelry close at hand. A nightstand on at least one side of the bed will provide the perfect space to keep these essentials. 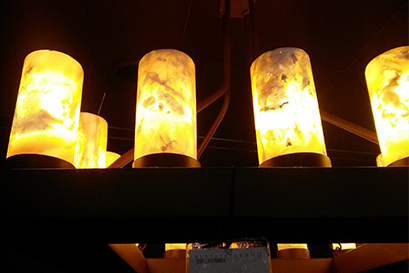 Add a small table lamp so your guest has a light source at nighttime. 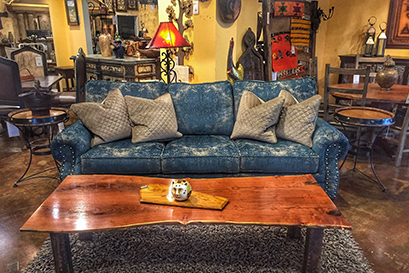 When shopping for primitive home furnishings made of solid wood, you likely have a preference when it comes to the finish. The type of finish on a piece of furniture will notably affect the look of the wood, and the color will affect how the furniture will tie in with the rest of the room. Sanding is the first step of the finishing process. A good quality dresser or table will be smooth, so you should feel no rough patches or scratches as you run your hand over it. Be sure to inspect the finish from different angles to check for uneven areas such as these. Also, a piece of furniture that has been properly sanded will take the stain evenly. When done right, staining enhances the natural beauty of the wood while adding color. When furniture is not stained properly, blotchiness or dark spots will likely be noticeable. All sides and ends of the piece should also be the same tone. When it comes to finishes, they can range from high-gloss to matte. You can identify a high-quality finish if it is satiny smooth and free of rough spots or bubbles. Avoid pieces that are not finished on the back or underside, as to reduce the chances of swelling or shrinking. While shopping for furniture for your home or office, you’ve likely been faced with the decision of whether or not to choose solid wood furniture. With many veneer, metal or plastic options available, some may wonder if the additional cost of solid wood is worth the investment. Solid wood furniture is very durable and made to last for decades. It can withstand the wear and tear that accompanies daily use and requires minimal maintenance. Also, if a piece of furniture made of solid wood does start to show its age over the years, it can be beautifully restored and refinished. Meanwhile, veneer furniture requires less of an investment. It can be designed to give the appearance of a wood finish, but what lies beneath the veneer can leave much to be desired if you’re searching for a durable, quality piece. Many manufacturers use particleboard as the core of this type of furniture, which means the pieces are more susceptible to damage. For example, while solid wood selections from our Austin furniture store can easily withstand contact with moisture (like a spilled beverage or rainwater from a leaky basement), a piece of furniture with a particleboard core would face irreversible damage. 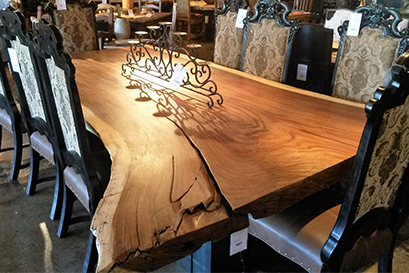 Overall, while veneer furniture may feature a smaller price tag, you will also find yourself replacing it more often. This entry was posted in Uncategorized on September 30, 2017 by . You could have the most beautiful home consisting of the most beautiful solid wood furniture in Austin, but without the proper arrangement of these pieces, the look and flow of your space can be comprised. Here are some tips to keep in mind when it comes to furniture arrangement. Different rooms in your home will call for different starting points, or focal points. In the bedroom, the main focal point should always be the bed, as it’s the most important piece in the room. Nightstands, armoire and dressers should be arranged around this focal piece. In the dining room, the starting point should be the table and chairs. Consider how you and your family will be entering and exiting the room, as well as the path you will take from one space to the next. If you’re finding that you have to take the long route to get to a specific point, make some adjustments. In the living room, for instance, one goal is the ability to enter and leave the seating area without having to dodge around a side table. In the bedroom there should be enough space between the bed and dressers for you to open the drawers comfortably and easily. While style is obviously important when furnishing and decorating your home, it shouldn’t be maintained at the sacrifice of comfort. Don’t ignore those comfort pieces that make you want to hang out in a space. For instance, having close access to a coffee table or side table while you’re enjoying a coffee in your living room is important for comfort and convenience. Consider what makes sense in a room as you arrange your furniture and décor.